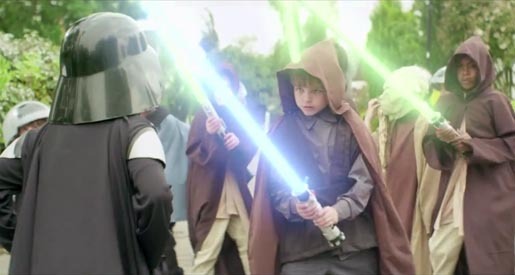 The Rebellion campaign is running on Greenpeace Video YouTube channel, in several European languages. The Rebellion is online at a microsite, vwdarkside.com, and on the Rebellion Facebook page. 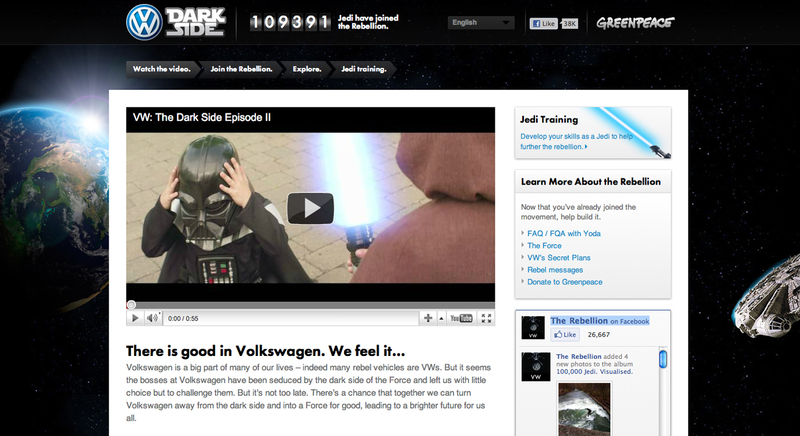 Visitors to the VW Dark Side site can become a “Jedi in the Rebellion” with a profile page, earning Force points and t-shirts by recruiting friends, mastering skills and befriending companions. The damning report is online as pdf at Greenpeace UK. 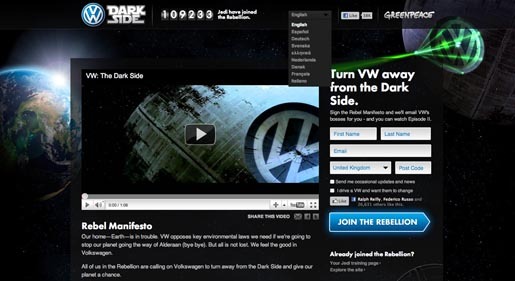 The Rebellion was launched in the UK by eco-activist storm troopers who erected billboards featuring Darth Vader with the VW logo over his mouth. Storm troopers wearing the VW logo were dispatched in street teams in key locations.